VCM II VCM 2 For Ford IDS 106.01 MAZDA 106.00 VMWare NEW Updated.And this blog will share Ford IDS 106.01 MAZDA 106.00 free Software download as well as some FAQs users maybe will meet when installing or using new software ,so let’s start it now. Q1 : How to fix “no active license… ” problem ? 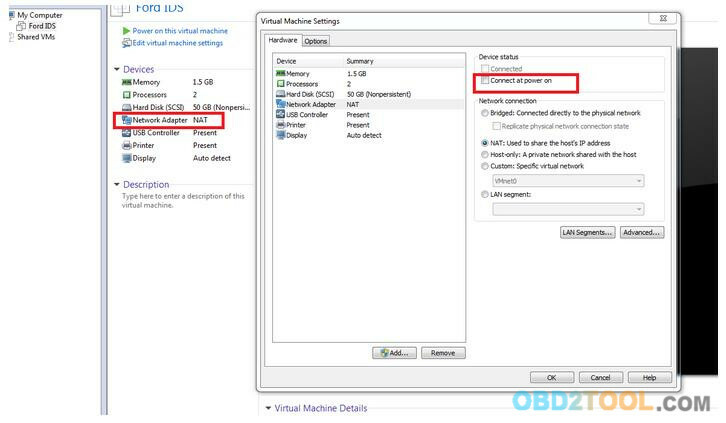 A1 : When U open VM at first time, choose “I move it” ,Delete the VM.. unzip/ unrar again. Start over,Click ” i moved it”and all will be OK.
Q2 : Is the internet not suppose to work? Q3 : Will this software supports VCM II FORD clone ? A3 : Yeah,as long as you bought one with great quality,then it works without any problems. Q4 : How to fix Ford IDS-WMware Workstation erro like following pix show ? Q5 : How to install and use this software ? > Turned of internet (dunno if it matters). 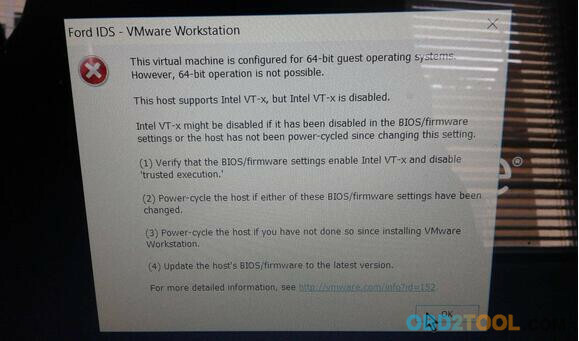 > Plugged in OEM VCM and installed drivers. > Made cosmetic changes, performance changes to WIN7. > Ran Shut down command in Guest System. > Turned nonpersistent back on.